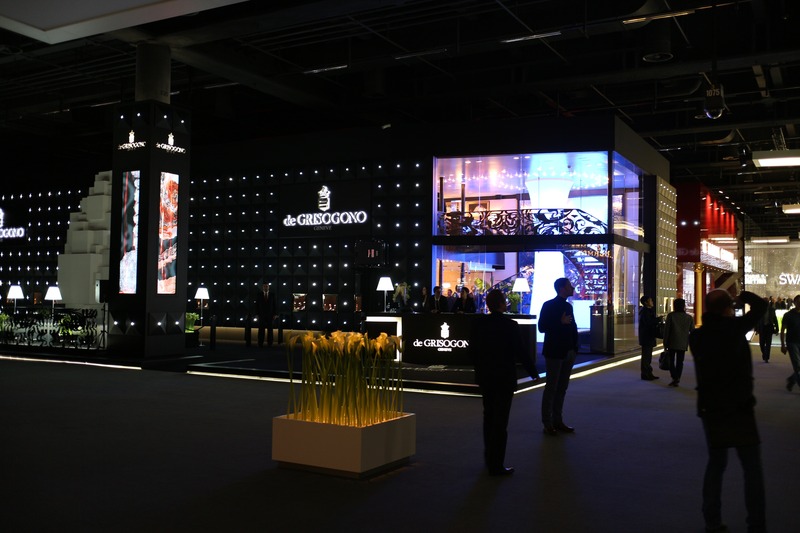 For Only Watch 2015, De Grisogono has created a one-of-a-kind New Retro Black Stripes watch. The timepiece features a large rectangular gold case with a top-mounted winding crown and is powered by an automatic movement. 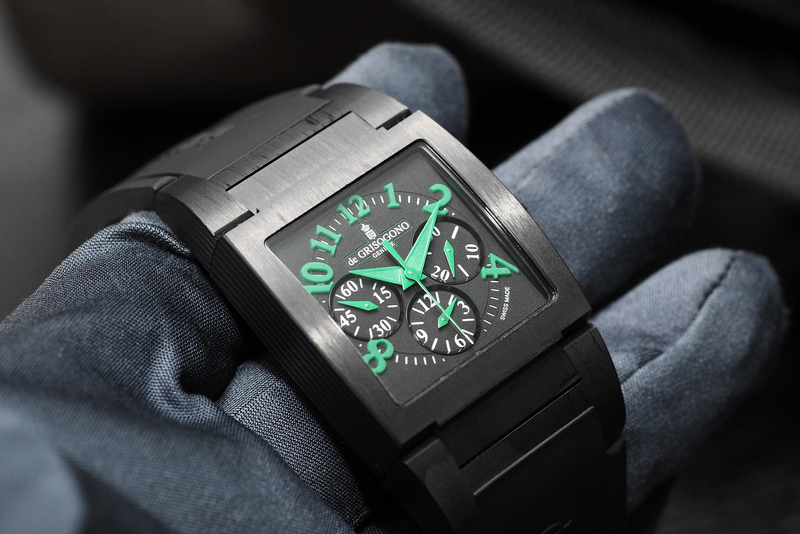 The caseback is set with black diamonds, aptly as de Grisogono focuses heavily on jewelry. The front and rear sapphire crystals have curved edges, similar like the new Samsung Galaxy 6 Edge, offering not just a straight on view of the dial and movement, but also a side view. 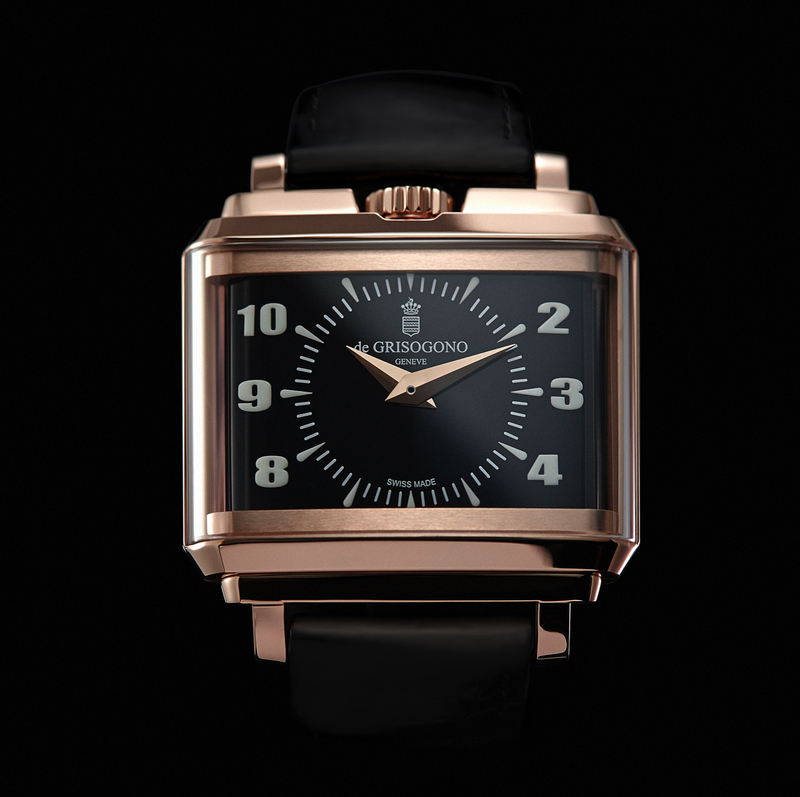 The watch is presented on a black alligator strap with a gold buckle matching the case. Engraved on the caseback unique 1/1, this watch will be featured in the Only Watch charity auction on 7 November 2015 in Geneva.